Youth homelessness has been on the rise as the cost of living increases and many young people simply can’t afford housing. Even working a minimum wage job can make it difficult to cover the cost of rent in big cities like L.A. Young people that aren’t able to live at home with their parents can end up on the streets because they have nowhere else to turn. 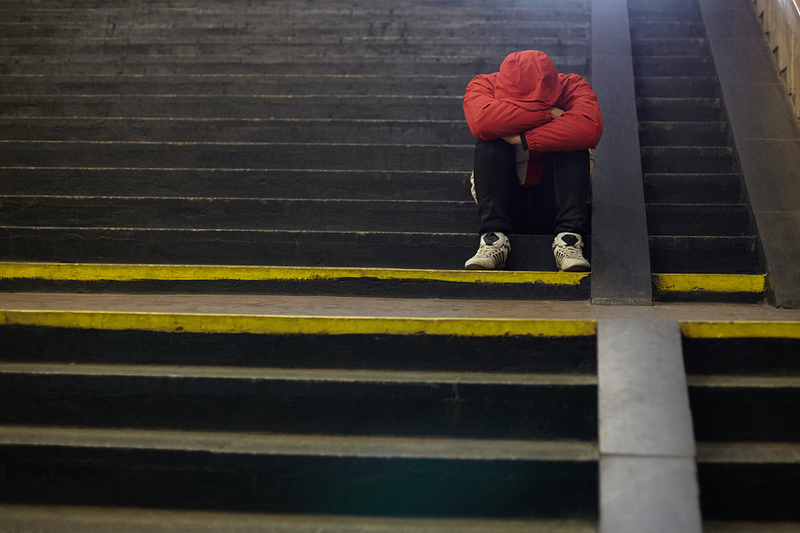 Homeless youth often end up in temporary shelters while going to school and trying to work a part time job. One solution for the homeless youth provided by an organization in L.A. is to provide young people with affordable housing. Jovenes, a non profit group serving homeless youth, is helping alleviate the problem by buying houses and renting out rooms to young people at a price they can afford. Many of the young people dealing with homeless still have goals and aspirations of becoming independent, finding sustainable careers and being able to afford their own home. Creating affordable housing provides an opportunity to help young people get on their feet until they eventually are able to move forward and reach their goals. Temporary shelters do not provide enough of an opportunity for youth that need a place where they can stay indefinitely until they become more independent. Creating affordable housing by providing low rent rooms to homeless youth is a long term solution that can have a positive impact on the growing problem of homelessness in cities with high living costs. If young people are able to work, eat and survive then they can grow as individuals instead of falling into the endless cycle of poverty. Jovenes and other organizations working to reduce poverty and the homeless youth population are giving children and young adults a second chance at life. Mental health disorders are a problem that affects millions of Americans every day and yet there remains a deep stigma in our country about mental health and treatment. While other physical illnesses are treated as legitimate issues that need medical attention, people with problems such as depression, anxiety or other disorders are still often ignored and even denied access to the care they need. Mental health problems are frequently seen as something within the individual’s own control or people are simply labeled as crazy. There is often a double standard when it comes to the way people treat a person with a physical illness versus a mental illness. Health insurance companies are less likely to provide coverage for mental health issues and treatment compared to physical illnesses. People are more likely to offer support and sympathy for someone with visual health issue and might be more judgemental when it comes to mental illness. It is important for people to be educated about mental illness and the need for medical attention regarding mental health issues. A mental illness can affect the ability of a person to live a healthy and stable life. Mental illness is not a personal failure of an individual, they are often disorders that are inherited through genetic vulnerability or develop as a result of childhood trauma. A mental illness, like any other disease, is not something that can be easily cured alone. People need access to professional care so that they can treat their disorder and eventually reach a state of better health. Raising more awareness to issues surrounding mental health is crucial in our culture in order to erase the stigma that can sometimes prevent people from getting the help that they need. People with very severe addictions often benefit from having substitute medications which can help them to immediately get off a harmful drug. Medications like methadone and suboxone can be useful tools to allow someone with a very serious dependency on opioids to start working on recovery without many of the intense withdrawal symptoms initially. 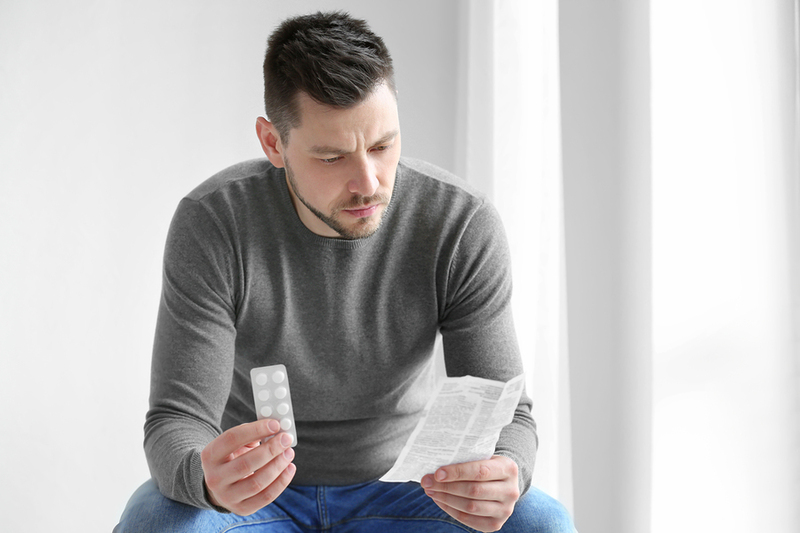 Although these medications can save lives, they have a few side effects that patients will need to adjust to until they eventually wean themselves off of any substances. Each person will react differently to a certain medication and if a particular option has too many side effects they can try something else instead. Methadone can have short term side effects when someone first begins using it such as drowsiness, light-headedness, or gastrointestinal problems. While the side effects may be unpleasant they can be dealt with through other types of over the counter or prescription medications. In some cases methadone can also cause psychological side effects such as hallucinations, insomnia, anxiety or paranoia. If these side effects become severe the patient may need to try a different medication that may have less of an effect on them. Suboxone is an alternative to methadone but it can have its own side effects as well. Suboxone can have short term side effects such as nausea, dizziness, sweating, insomnia and irregular heartbeat. 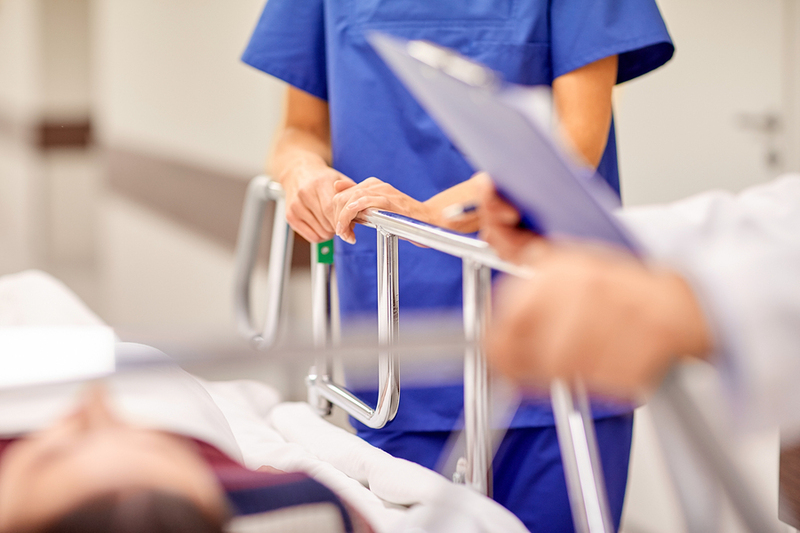 One of the most serious side effects that can sometimes occur with suboxone is respiratory depression which leads to shallow breathing and a lack of oxygen in the body. If this occurs the patient should seek medical help immediately and cease their use of the medication. Addiction medication can be a useful way to help patients transition off of a chemical dependency. When side effects occur their doctor can recommend supplementary medications or switch them to an alternative that may have a more mild effect. You may be familiar with Alcoholics Anonymous meetings because you have been to one, someone close to you attends meetings or you’ve seen it on television. Most people have an idea what an AA meeting is like, however not many people know about Al-Anon or Al-Ateen. Al‑Anon is a support program for people whose lives have been affected by someone else’s alcohol abuse. Alcoholism is known a “family disease” in which several members of a family can be affected by one persons habits. Like AA groups, these meetings are a safe and welcoming place where you can connect and share your experiences with others that are going through a similar thing with their loved one. Parents, spouses, siblings and close friends of alcoholics attend Al-Anon to open up about how alcoholism has affected their lives. Members can share their frustrations, negative past experiences and even share some healthy coping mechanisms, strengths and positive experiences that can give other members a sense of hope. 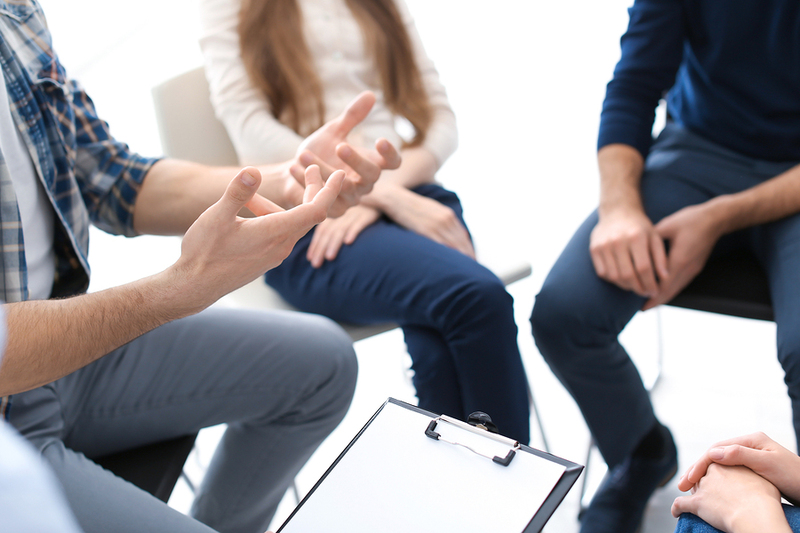 Like AA, the first time you go to a meeting you can share and talk to the group but you are not required to.Members of the meeting will then share their thoughts, things they are experiencing or talk about their progress in recovery. Everything that is said and shared in the meetings is anonymous and each member of the group is expected to maintain confidentiality. Most people find that sharing with the group can be cathartic and helpful even if their loved one has chosen to not get help. Attendees can form friendships and more importantly a sense of support, knowing that they are not the only ones dealing with something so difficult like alcohol abuse. Many feel reluctant to attend a first meetings, but this Al-Anon is solely intended to offer help you and your family may have been needing for years. People that have been diagnosed with post traumatic stress disorder don’t always experience their most severe symptoms on a regular basis. Their symptoms usually occur when there is a trigger present which causes them to react as a result of their past trauma. PTSD triggers can vary depending on the individual’s experiences and how they cope with their traumatic memories. Triggers are usually certain thoughts, feelings or situations that bring up symptoms such as flashbacks, nightmares, anxiety, or panic attacks. When someone experiences a trigger it can be either internal or external. Internal triggers can be related to certain thoughts, memories, or bodily sensations that lead to symptoms. External triggers can be certain people, places or situations that the individual encounters during the course of their day. PTSD triggers that are internal can occur through natural feelings such as anger, loneliness, vulnerability or simply remembering specific events. A person can experience triggers through external events such as an argument, a news story that reminds them of their trauma, seeing an accident, certain dates such as holidays or anniversaries, or even seeing someone that reminds them of their traumatic event. When these triggers occur they might have physical and psychological reactions that can be uncomfortable and difficult to bounce back from. People with PTSD can learn how to cope with their triggers through certain techniques that they can learn from a therapist. Relaxation, deep breathing and mindful awareness can all be useful in helping people deal with PTSD triggers. Those who experience anxiety and panic attacks may be able to take medication that will help them if they are confronted with a very severe trigger. 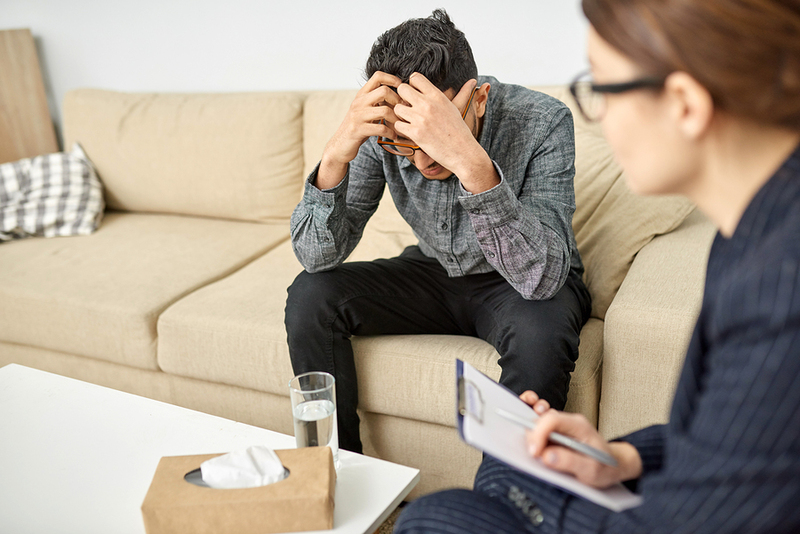 Although triggers can be unexpected and occur in a number of different situations, people with PTSD can still minimize the effects of them through treatment and therapy.